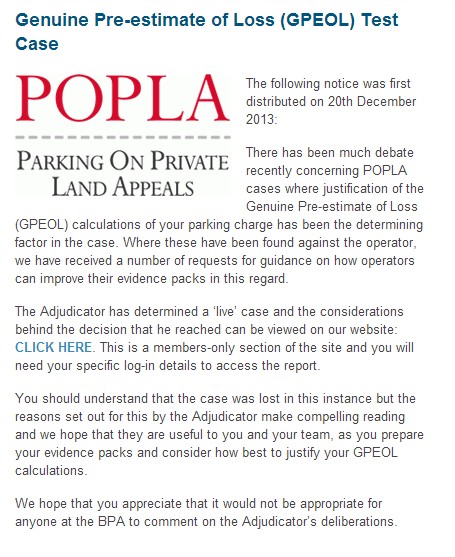 The Parking Prankster has learned that the POPLA Lead Adjudicator, Henry Greenslade, has published a test POPLA case which can be used by parking operators to improve their evidence packs. This has been made available to all operators by the British Parking Association Limited in their 23rd Jan AOS newsletter. 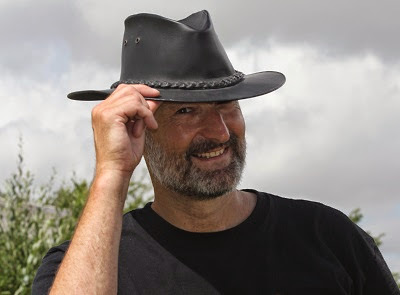 The Prankster has seen the test case, and his opinion is that he agrees with the BPA Ltd that this was specifically written as an instruction manual to operators on how to improve their evidence packs. The Prankster considers that it is not the job of Mr Greenslade to do this. If the BPA Ltd want such an instruction manual they should hire their own barrister to produce one. The Prankster considers that it is not the place of POPLA to release POPLA judgements to the BPA Ltd. POPLA have previously refused to make POPLA judgements available to the public, and The Prankster has gone through the full complaints procedure for London Councils on this matter. The Prankster considers this is a clear sign of bias to the operators. The Prankster wonders whether any data protection issues have been caused. The Prankster considers that it is not the place of the BPA Ltd to further distribute the POPLA judgement to all AOS members. The Prankster wonders whether any additional data protection issues have been caused. The Prankster considers if that genuine pre-estimate of loss is such an issue, then it should be clearly stated as a reason to appeal on the POPLA forms and the POPLA web site. The Prankster has gone through the full complaints procedure for London Councils on this matter, without success. The Prankster would be very interested to know exactly why, and under whose orders, instructions or requests, Mr Greenslade wrote the test case. Lastly, The Prankster points out that it is a fruitless exercise. However a pre-estimate of loss calculation is written, it cannot disguise the fact that you cannot run a business on pre-estimate of loss payments. Any operator trying to use clever words to falsely pretend a charge is a pre-estimate of loss is therefore merely setting themselves up for a fraud case somewhere down the line. The Prankster would like to point out that according to figures released by the DVLA and ParkingEye's own accounts, their cost per parking charge cannot be more than £15. The Prankster would be happy to extend this free service to any other operator who has difficulty with mathematics. Please forward a copy of your accounts together with the number of parking charges issued to prankster@parking-prankster.com and The Prankster will reply with the maximum value your cost per parking charge can possibly be. Mr Greenslade just can't help himself, can he? POPLA must be really feeling the pressure from the BPA and are worried about losing the contract. 2. Stick with their £60/£100 and lose. Either way they go bust very quickly.....HAHAHAHAAHHAHAHAHAHAHAHAHAHAHAHHAHAHAHAHHAHAHAHAHAHAHHAHAHAHAH..............love it!!!!!! Any chance you'll be publishing the test case??? Oh dear, silly move, Henry. I wonder what a HC judge would have to say if one of their decisions was subject to JR.
POPLA is not, I think exempt from FOI, an appeal is pending.